Blogging can be a great way to make money from home. But, one of the tricks to blogging success is proper time management. 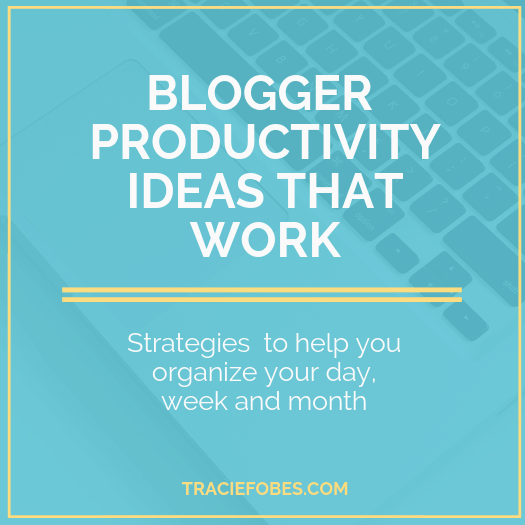 What do bloggers need to do to ensure they are being productive? When you work a traditional, 9 to 5 job, you know what you have to do each day. There are deadlines and people counting on you to do your work. And, if you don’t, the result can be losing your job. However, when you are a blogger, there is no accountability. And, since you work at home, you can easily be distracted by the things going on around you. As bloggers we have to learn the most efficient and effective ways to make sure we are productive every time we sit down to work. In order to be better with your self-management, you need to change the way you manage your time. This includes using tools and ideas you can use to get the most out of the 24 hours you get each day. You would not plan a trip without making a plan, would you? After all, you need to know how you will get from your house to your final destination. The same is true with blogging. If you don’t know what you need to work on each day, you will get nothing done at all. Before you begin your week, determine what you will do each day. When you have a projects list, you will be more effective with your time. It’s easy to know when to start and end your day when you work a traditional job. But, when you work at home, it is far too easy to get distracted and just work when you have a few minutes here or there. That’s not an effective use of your time. When you start looking at your blog as a business, it is easier to set hours when you will work on it and when you will not. If you have a traditional job, it may mean waking up one hour earlier each day to work or staying up an hour late at night. A mom who stays home with her kids may establish work hours to coincide with naptime each day or after the kids are in bed. It does not matter when you work, but that you have a set time when you do. That way, when the time starts for you to work, you know you have a limited amount of time to get as much done as you can. Doing so keeps you more focused and productive. When someone says planner, the first thing that may come to mind is a spiral-bound book. That is just one option. There are printable templates and apps you can use to help you better manage your schedule and time. If you are old school, the traditional planner might be the right option for you. Erin Condren has some absolutely gorgeous planners! One unique feature about her planners is the ability to customize them. You can get the layout and style that works for you. A planner that works for your needs is key to success. While this type of planner looks gorgeous, it is not explicitly geared towards bloggers. You may want to invest in a simple blogging planner. A good blogging planner has forms that bloggers need to stay organized and track everything. When you write a blog post, what all do you need to remember to do? 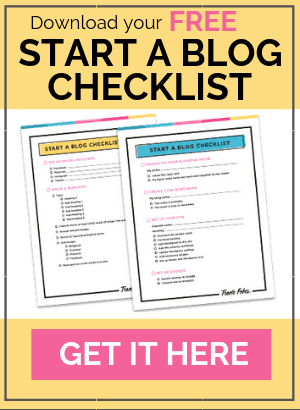 A blogging post checklist would prove helpful, right? Then, there is tracking your income, your affiliates, and your goals. Bloggers also often have to plan their content months in advance, so it is on their site at the right time of the year. The Printable Blogging Planner does this. 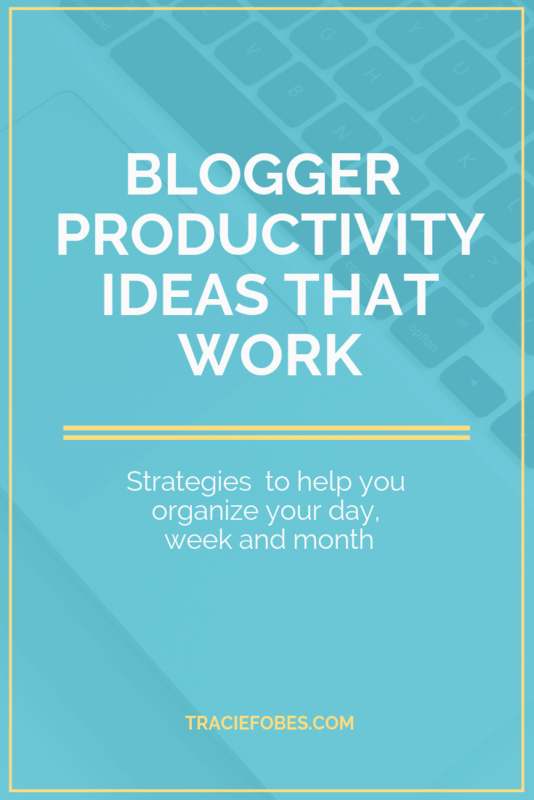 It gives bloggers everything they need to stay organized and successful. And, it is affordable! You buy it once, and you never have to rebuy it. Ever. Nothing is dated. It is indeed the only blogging planner you need. Your planner includes a blogging post template, sponsored post checklist, affiliates tracking, income and expense trackers, goal sheets, resources, blank calendar and so much more! It is sheet after sheet of different forms you can use to have the success you want blogging. Best of all, you can use all of the forms or pick and choose what you want to use to create a custom planner. As much as paper or printable planners work, that may not be the right option for everyone. Asana is a great option for an online productivity planner. The app lets you enter a task and then you can keep track of everything you need to do to finish it. If you are a food blogger, you need to find the recipe, buy the ingredients, prepare it (possibly taking video and photos while doing so), shoot the final images, type the post, find affiliates to add, create pinnable graphics, publish, and promote. Whew. That is a lot of things to do for one post. With Asana, you can add your recipe as a project and then list out every task nested beneath it. As you finish one, you can mark it done. And, if you forgot a task, you can add it at any time. It ensures you do everything needed on every job you need to complete. Goals are great. They help us know where we want to end up. But, do you know what you need to do to achieve them? You might have the goal that you want to make $5,000 a month from your blog. But, what are you going to do to reach that? What steps must you take to achieve your goal? A goal is just a bunch of random words if there is not a plan attached to it. No matter what you need to work on every day, you need to be flexible. Sometimes your priorities will change, which means your schedule will need to adapt too. You may have a plan to work on a blog post today, but the sick kid means you can’t. You will need to find a way to change your schedule for the rest of the week to make up for today. There may also be an urgent sponsored post change or request that arrives in your inbox. That may mean swapping items on your schedule out from today to push them off for tomorrow. I’m big on leading by example and learning from those who are smarter than me. I don’t have it all figured out so use those who have to help teach me. You should do the same. Find someone who really has blogging figured out (usually at least 4+ years of experience). They will be able to guide and help you as they really understand what it takes to blog. Then don’t be afraid to invest in that education. There are courses and other materials you can purchase that will help you learn what you do not know. One idea is the Productivity Planner. For less than the cost of dinner out with your family, you can learn the tools and have resources to help you learn where to focus your time and how to plan your day. It’s a course from a blogger for a blogger.